Designer Vera Wang New Dancing With The Stars Cast Member? Designer Vera Wang might be trading in her needle and thread for a pair of dancing shoes. There's word, according to E! Online, that she has signed on for the upcoming season of Dancing with the Stars. 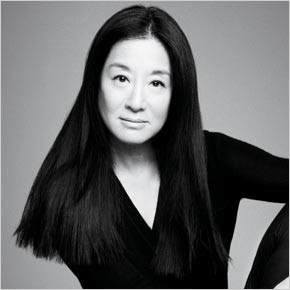 Vera Wang, which as you know is most famous for her wedding dresses, but did you know she was a trained figure skater who competed in the 1968 US Figure Skating Championships, pretty cool. ABC hasn't confirmed which celebrities will be competing for the disco ball trophy, but I can't wait to hopefully see Vera Wang shaking her stuff to the Samba. The DWTS premiere is set to air Sept. 21st.